1) Labels can be important, especially when trying to communicate a sometimes subtle argument to the public. The term “originalism” is suitable, but what is it contesting? “Living constitutionalism” or “evolving constitution” are awkward, unclear and even misleading. I propose that the debate properly should be framed in terms of its fundamental issue, which is how the law is changed, and by who(m)? To change a law (or the Constitution) is to amend it. When courts change the law as enacted, they are amending it. For this I believe the correct term should be “judicial amendment,” and that is how I propose we should speak of what “living constitutionalists” are advocating. And thus its opposite, as advocated by originalists, is democratic amendment. By framing the fundamental issue as judicial amendment vs. democratic amendment, originalists can make clear that they are defending democratic government, not the dead hand of history as portrayed so often by their opponents. 2) However, the argument that the judiciary is exceeding its proper democratic bounds runs into a major difficulty with regard to constitutional law. Unlike regular laws, which can be readily amended by current legislatures, the Constitution can only be democratically changed by the lugubrious procedures of Article V. Even while accepting the concept that constitutional change should be more difficult than regular legislation, the simple reality is that Article V is now moribund. This leaves originalists with no response when advocates of judicial amendment argue that there is no realistic way to update the Constitution unless the judiciary acts. All of the Framers expected that such updates would be needed – they just did not foresee that the procedures they put in place would become unworkable in a vast nation with 50 disparate states. Therefore, the article argues that originalists need to actively advocate reform of Article V. I propose such a reform briefly in the article. The full text of my proposal is at www.amendmentamendment.com. 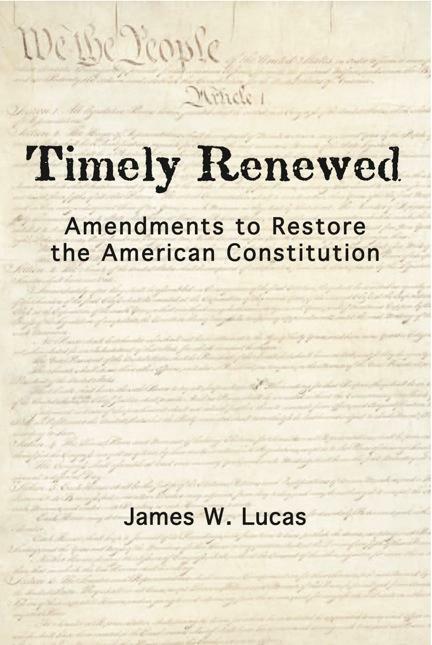 Regardless of the specifics, originalism is missing half of its force if it ignores the need to reform an amendment process that makes the U.S. Constitution one of the most difficult in the world to amend. In addition, one should note that such an effort to return ultimate control of our Constitution to democratic rather than judicial processes, could make its advocates’ other arguments better received in our current populist political climate.